I wanted to wish everyone who visits my college blog a happy holiday. Unless you are a high school senior or the parent of one, I’d suggest this is an excellent time to forget about college for a week. That’s what I intend to do, which is why I won’t be writing any more blog posts until 2013. 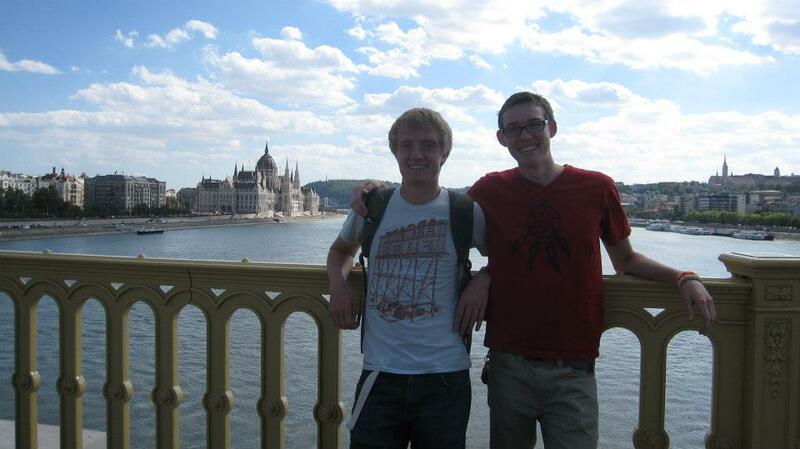 I am grateful that my son Ben returned safely from his semester abroad in Hungary. The mathematics program that brought him to Budapest was a grueling one, but Ben said he was glad he went for two main reasons. While in the program, he said he developed a different way to view mathematics and he also became great friends with Mark, his roommate, who is a junior in Reed College. Mark plans to visit Ben at Beloit College this spring. 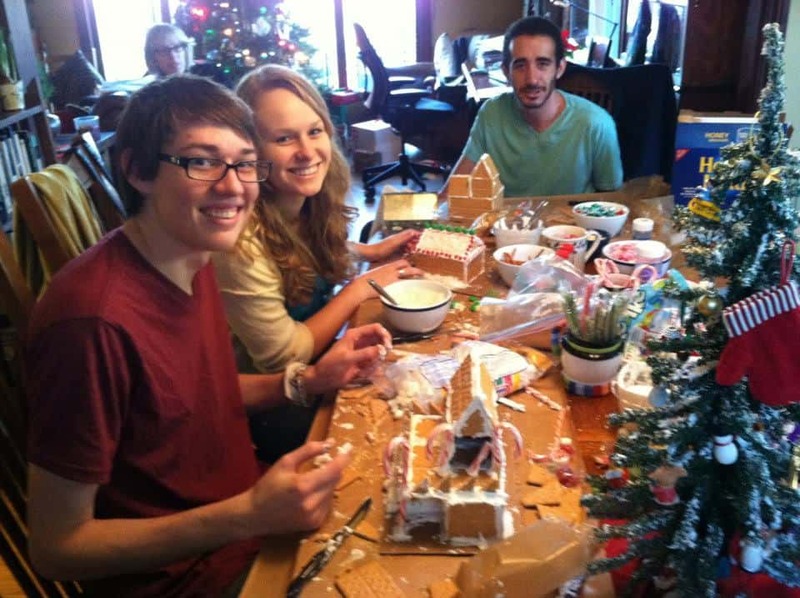 I thought I’d share a few photos that I took this weekend when family and friends gathered for our yearly attempt to make gingerbread houses. 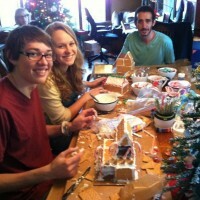 Actually they are graham cracker houses since the year that I made the actual gingerbread, the houses were a flop. Here is Ben with his two oldest friends — one from preschool and the other from grade school. Paloma attends Mount Holyoke College and Nathan attends Carleton College and they are both very happy with their schools. And I am, of course, pleased that they decided to attend liberal arts colleges! My best friend (Paloma’s mom) is in the background. 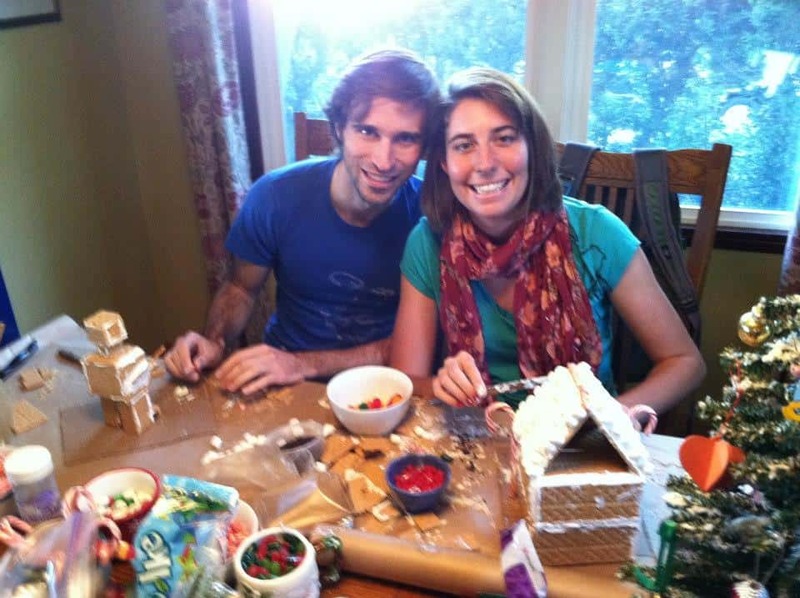 Here is a picture of my daughter Caitlin and her boyfriend Nick, who bucked tradition and built a robot instead. He is getting his PhD in robotics/engineering at UCSD so everybody thought his choice was cute. 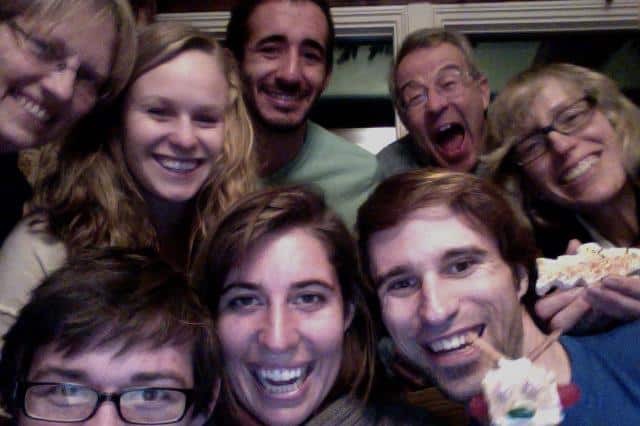 Here is everyone posing for a photo booth shoot, including my husband who didn’t make a gingerbread house because he was busy sanding his latest wooden trout. He starts with a block of redwood at Home Depot and turns it into an amazing fish. They are highly coveted as gifts and one of Bruce’s old classmates from UC Berkeley is getting one for Christmas. 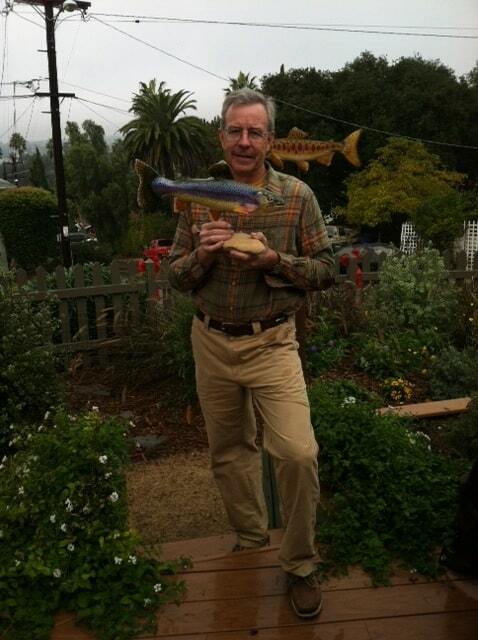 Here is my favorite trout that my husband carved and painted earlier in 2012. Over the years, Bruce had gotten increasingly better. You can see an older speciman sitting on a post in our front yard. Happy holidays everyone! I will be back in 2013! Your family seems to happy! I can’t wait to get to those years with our kids coming home for the holidays. Look forward to your posts in 2013.